The 2017 Excellence in Editing Awards were in June 2017. Out of dozens of entries, seven books won the EIE Award. On PEN Tips, we will be featuring the award-winning books, along with the authors and editors. 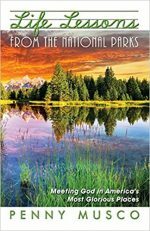 This week’s EIE Award spotlight is Life Lessons from the National Parks: Meeting God in America’s Most Glorious Places by Penny Musco, edited by Vie Herlocker, and published by Sonfire Media. Christi McGuire, director of the Christian Editor Connection, which hosts the annual EIE Awards, interviewed author Penny Musco and editor Vie Herlocker. Penny, how did you develop the idea for this book? Life Lessons from the National Parks began as a blog (which I still write). In 2009 my husband and I visited Florida’s Everglades National Park, and reading about, of all things, the lifecycle of a bald cypress tree made me think about its parallel to the Christian life. I told my husband I wanted to start a blog and call it “Life Lessons from the National Parks,” and by the way, would he set it up for me? Because he likes to learn new skills, is good with computers, and is just a really nice guy, he did. As the 2016 National Park Service centennial approached, I began to think the blog might be a book. I’d already learned that persistence is a huge part of being a freelance writer, and I believed in the idea so much that I stubbornly persevered through seventeen rejections before I landed at Sonfire. What did you enjoy the most about the writing process? Writing about two things I love: the Lord and the national parks. Thanks to great training in discipleship, I relish digging into Scripture. I’ve been visiting national park sites most of my adult life, and after my 2009 stint as Artist in Residence for the National Park Service, I began to appreciate them even more. Bringing these two loves together is a pleasure! What did you struggle with the most during the writing process? Oh, sometimes reading the material over and over again, particularly for errors, was tedious—I’m not a great proofreader. Fortunately, both my husband and especially Vie are. What tips can you give authors about working with freelance editors? Use the experience to become a better writer. Even though I’ve been a freelance writer for magazines for years, I was new to the world of book publishing. Vie patiently taught me a good deal about the business, and also about writing in general (nothing like a book-sized manuscript to uncover your quirks!). At the same time, hold on to your confidence in what you’re trying to say and the unique way in which only you can say it. Be willing to listen to criticism and make corrections, but don’t waver from your message and vision. Vie enabled me to do that. What does winning the Excellence in Editing Award mean to you? I was shocked, shocked, I tell you! I’ve never received any kind of prize for my work, but secretly dreamed of a day I would. Writing is sitting in front of a computer all by yourself, mostly interacting with others only through email, being told no a lot, wondering if anything you say is interesting or worthwhile, or if anybody even notices. Winning the Excellence in Editing Award is a big yes, for which I’m very grateful. Vie, how did you become connected with the author? Penny sent a proposal to Sonfire Media, a small traditional Christian publisher I am associated with. Not only was her writing sample excellent, her credentials for writing about the National Parks and her established platform as a journalist were impressive. I presented the proposal to our committee, and we offered her a contract. Although Penny and I have not yet met in person, we worked closely via email and phone during the editing process. What do you enjoy the most about the editing process? I was an educator for many years, and I consider myself a teaching editor. Nothing excites me more than sharing with authors how they might move their manuscripts from great to excellent. Working with authors like Penny—ones who are confident but open to new ideas—and seeing their excitement over the finished products brings me great joy. What tips can you give other freelance editors about working with authors? My tagline is “Tough-Love Editing with a Tender Touch.” I believe it’s important to be an encourager, always honoring your author’s voice and vision for the manuscript. But be honest in your appraisal of the work, offering viable solutions for consideration. Recognize that you will not always be right; help the author feel comfortable engaging you in discussion when there is a difference of opinion or a need for clarification. Never stop learning. Continue to take classes, study books, and attend conferences for both editing and writing, so that you are the professional your author expects. Most important, remember to pray regularly for your author. What do you wish authors knew about working with freelance editors? Editors want their authors to succeed. We work as a team, and when the book comes out, the editor shares your pride in your book. What does working on an award-winning book mean to you? Editing is my second career. Years ago, when God opened doors for me to edit for a publisher, I was not sure editing was for me. But I immersed myself in classes through The Christian PEN and studied every book on writing and editing that I could find, determined to give it my best. Receiving this award with Penny is one more validation that editing is where God wants me to serve Him. Thank, Penny and Vie! And congrats again on winning the 2017 EIE Award! Penny Musco is a freelance writer and performer, with a BA in Speech and Dramatic Art from the University of Iowa. Her magazine credits include Family Circle, More, Costco Connection, and Guideposts. As the first Artist in Residence at Homestead National Monument in Nebraska, she wrote and performed a one-woman show, Steal Away: The Story of a Homesteader and an Exoduster (http://www.steal-away.com). Penny lives in Florida with her husband, a theatre professional, with whom she has an adult daughter. Visit her website at www.pennymusco.com. Vie Herlocker is a freelance editor at Cornerstone-Ink and is the editor for Sonfire Media, a traditional small press. 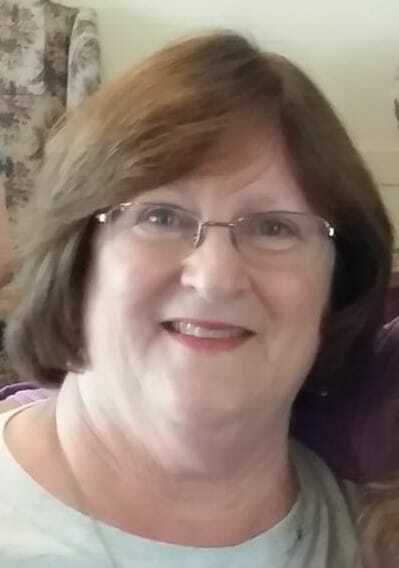 She is a member of the Christian Editor Connection, The Christian PEN, ACFW, and ACW. Vie coauthored a book for the educational market, ghostwrote a memoir, and has been published in compilation books and periodicals, including Penned from the Heart, Chicken Soup for the Empty Nester’s Soul, Christian Communicator, Church Libraries, Guideposts, Angels on Earth, and more. She is a workshop presenter for writing groups and conferences. Visit her website at www.cornerstone-ink.com. Whether you’re a hiker, a museum explorer, or a reader who travels vicariously, Life Lessons will take you on a four-season tour of some of America’s most glorious places within the National Park Service-and you’ll meet God along the way. In Life Lessons from the National Parks, author Penny Musco brings the NPS sites to life with her first-person experiences, shares Scripture and inspirational anecdotes that relate to the parks’ stories, and provides tips for planning your own visits and links to the sites that are referenced. 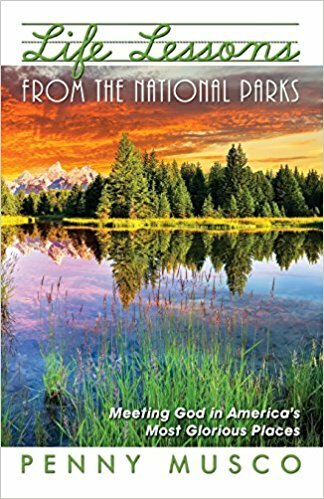 Life Lessons from the National Parks is endorsed by Michael J. Oard, co-author of the “True North National Park Series,” and by Cecil Murphey, author or co-author of more than 130 books, including Gifted Hands: The Ben Carson Story and 90 Minutes in Heaven with Don Piper. Purchase Life Lessons from the National Parks on Amazon. Are you the author, editor, or publisher of a 2017 published book? Submit it for the 2018 Excellence in Editing Award! 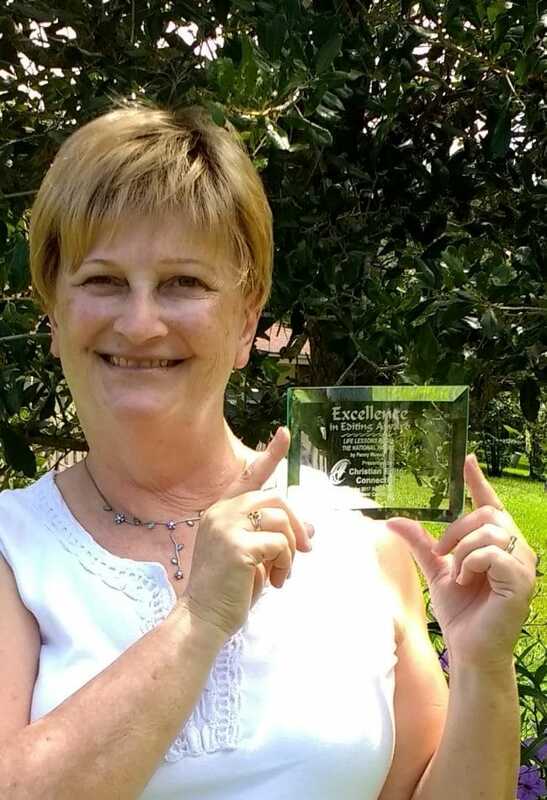 The Christian Editor Connection wants to honor the teams behind well-written and well-edited books and is proud to announce our third annual Excellence in Editing Award. This award celebrates newly released books that are superbly written, well edited, and published by a CBA publisher or self-published by a Christian author. The CEC Excellence in Editing Award is open to all books published in hardcover or paperback in 2017. Books must be written in English, have been released in North America, and contain a Christian worldview. The publication teams (authors, editors, publishers) behind the EIE award-winning books will be honored for their dedication and work and may mention this honor in their marketing, promotion, and publicity. The most valuable aspect of the award is its use as a book sales stimulator. Visit https://christianeditor.com/eie/ for more information and to submit your entry. Deadline is December 31, 2017.